McDonald's Canada is the Canadian master franchise of the fast-food restaurant chain McDonald's, owned by the American parent McDonald's Corporation. One of Canada's largest fast-food restaurant chains, the franchise sells food items, including hamburgers, chicken, French fries and soft drinks all across the country. 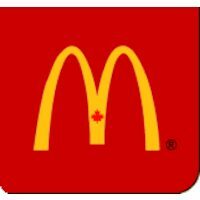 Situated at 7419 82 Avenue NW in Edmonton, McDonald's is an enterprise in the restaurants section of Canpages.ca online directory. You can call 780-414-8460 to do business with McDonald's that is near your area. McDonald's Value Picks Menu contains some of the lowest prices of the major fast food chains but also has some of the best variety thanks to McCafe, their all-day breakfast items and after breakfast items. The Value Picks Menu should be available at all stores, however the pricing may vary depending on location.